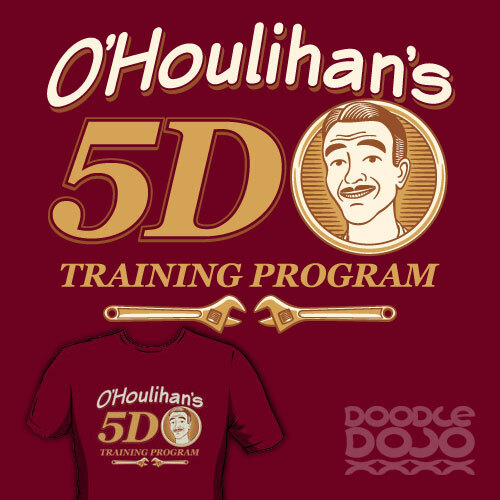 Try out Patches O’Houlihan’s 5D Training Program and you’ll start seeing immediate results. Remember, take care of your balls, and they’ll take care of you. Inspired by the movie Dodgeball: A True Underdog Story. See size, colour and style options on the product page on RedBubble. You will also be able change the pricing options to your local currency. Also available on iPhone cases, stickers and posters from RedBubble as well as prints, laptop skins, and iPhone skins from Society6. Follow me on Facebook, Google Plus, Tumblr, Twitter or Pinterest. You can find my art at Etsy, Redbubble, Society6, Teepublic, or Amazon.